← Yarn Lovers meet up! WIP Wednesday: Attack of the Rumplestiltskins! Terrible news, people- I’ve been Rumplestiltskined! If you listen to the brilliant Knitmore Girls podcast you might be familiar with this term, but for those of you who don’t (yet! ), it basically means your beautiful spinning project is not going to plan. At all. To recap, I’ve been spinning up some delicious single yarns on the wheel recently, and had the rather grand idea of making my beautiful Manos Del Uruguay handspun into a cardi, and making some merino handspun for a christmas present. 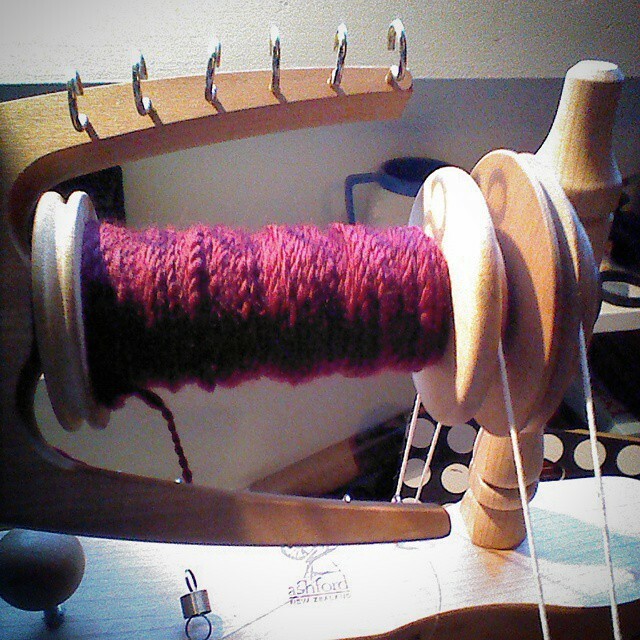 I thought that if I spun pretty slowly and set the twist properly, everything would be just fine. I started doing a bit of research about knitting with single ply yarn, and that’s when I noticed the warnings- “It’ll skew your garments as you knit”, “It’s unbalanced and will twist when wet”- that kind of thing. Oh dear. I decided to do a bit of an experiment to find out if the handspun really would twist up again when wet, as some knitters said they had used single ply handspun successfully in projects. I re-soaked samples of my single ply yarns, and knitted a small sample of the purple merino above to see how it behaved. Well, it taught me that knitting samples is definitely A GOOD THING. While the yarn looked beautiful and the stitches were straight, I could see the left side of the stitches was much more twisted than the right. It created quite a lovely pattern in the sample, but I was concerned it wouldn’t be balanced enough for a garment. It was ok in the water, but my other samples started discovering their curls again. 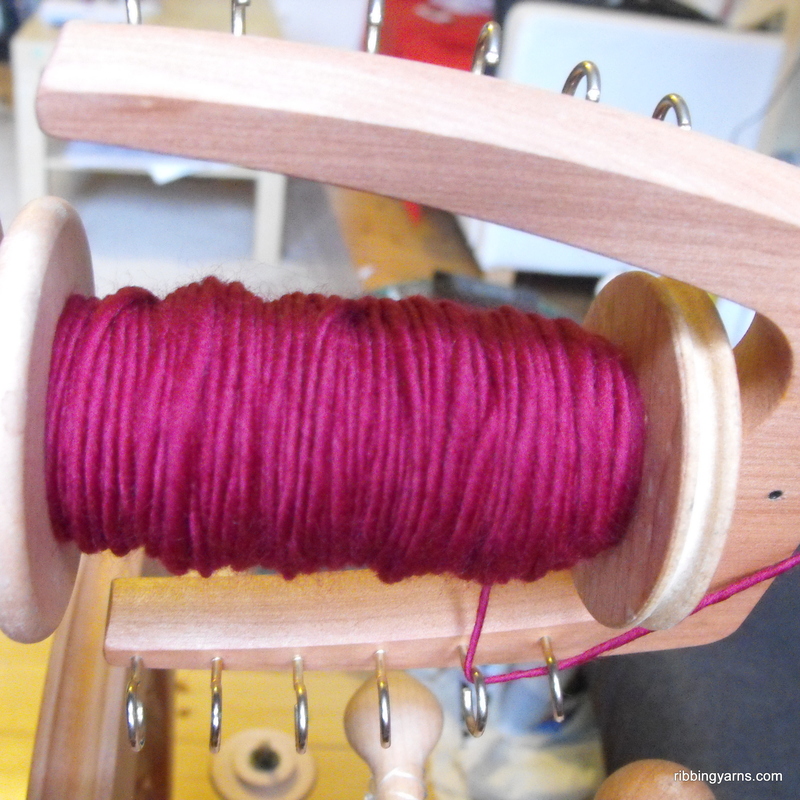 So, I have started again on the purple merino, ordered some extra, and started plying. It’s going very well and I’m happy to be making a yarn now that I know is balanced and will become a beautiful garment :) The single ply I have made will get used, I’m just not sure for what yet. I wonder if any of you spinners know more about using single ply in projects? Has it worked for you or have you too been Rumplestiltskined? 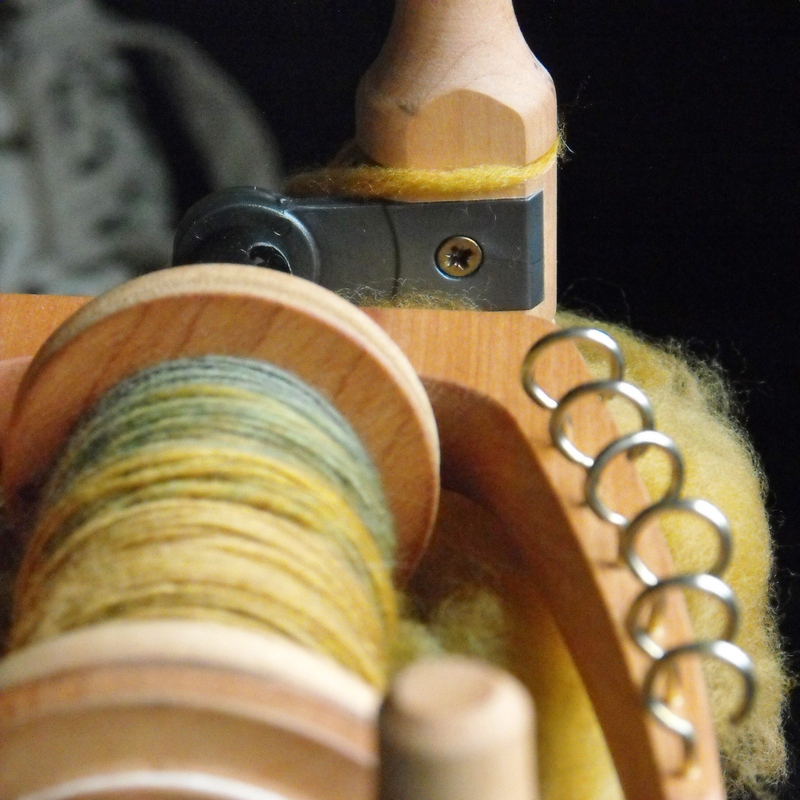 This entry was posted in Spinning, WIP Wednesday and tagged Craft, Garn, Handspinning, Handspun, Håndarbejde, håndspunnet, Knitting, ManosdelUruguay, Ply, Spinning, Wool, Yarn. Bookmark the permalink. 6 Responses to WIP Wednesday: Attack of the Rumplestiltskins! Oh that sounds like it would work! You may have just saved by cardi-to-be! Thanks for the advice about the Knitmore Girls. I’ve only recently discovered knitting podcasts and am glad to hear there are many more out there. And even though I haven’t tried spinning yarn myself, I found it very interesting to read a bit about the process. Thanks! Fascinating! I never understand when my projects do something wonky (usually this is needlepoint related) but so interesting to learn about how yarn ply acts. Glad to know I’m not the only one with wonky projects! ;) Glad you liked the post.